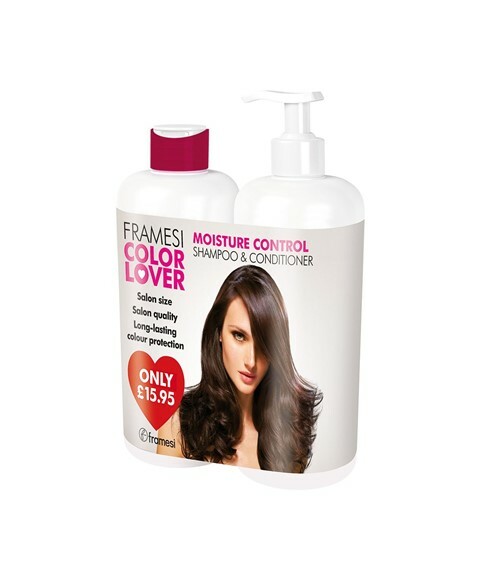 Framesi Color Lover Moisture Control Conditioner. With four (4) types of conditioning ingredients, it transforms the texture of dull, rough and unruly hair. This acts on the porosity of the hair, leaving it smooth and shiny. Exalts and protects your hair color. With four (4) types of conditioning ingredients, it transforms the texture of dull, rough and unruly hair. This acts on the porosity of the hair, leaving it smooth and shiny. Exalts and protects cosmetic coloring.